The texts Eeva Dorendahl's father sent his ex before their deaths. The chilling texts a father sent in the days before he and his daughter went missing. Warning: This post deals with suicide and child abuse and may be triggering for some readers. More than five years ago, young Eeva Dorendahl went to visit her father over the Christmas period. Eeva’s mother Michelle Dorendahl had dropped off her daughter to her father, 35-year-old Greg Hutchings, at Nambour railway station before Christmas. This was the last time Dorendahl would see either of them in person. 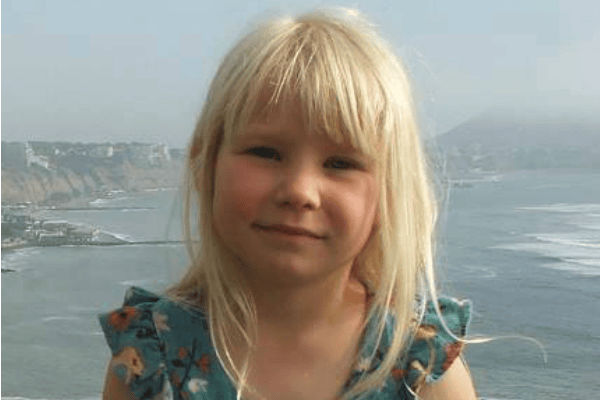 In mid-January 2014, Eeva and Hutchings went missing. On January 28, a search party found the man dead alongside the four-year-old, beneath the canopy of a pandanus tree near the beach. Eeva Dorendahl and Greg Hutchings. Image: Facebook. Today the findings of an inquest into their deaths were released. It found that Eeva died at the hands of her father because he was trying to "re-establish control" over his separated family before he killed himself on the NSW north coast in 2014. 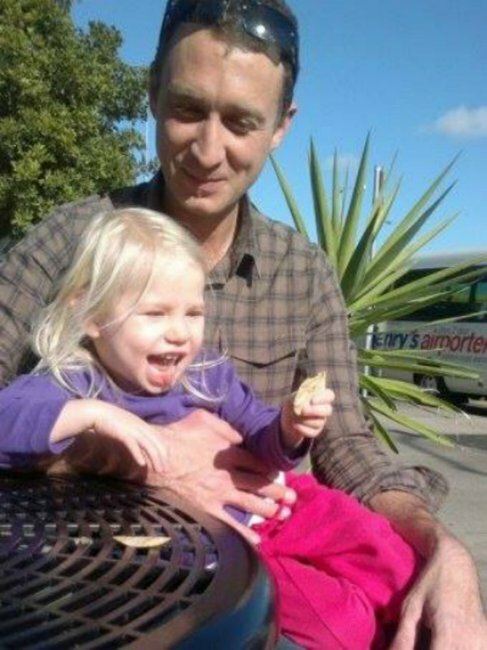 Eeva was born in 2009 in Queensland and by her second birthday her parents had separated and their contact had become "strained and emotionally difficult", an inquest heard. Acting State Coroner Teresa O&apos;Sullivan, who released her findings on Tuesday, said it was necessary to understand the "source of the tension" which preceded the father&apos;s actions after he failed to return the girl to her mother on January 9, 2014. She had driven to Pottsville, near the Queensland border, to pick the girl up on January 11. But when she arrived she couldn&apos;t locate the pair and alerted police. Text messages and emails from Hutchings to his ex-partner in the days before the disappearance were polite and gave no indication of what would transpire. On January 8, Dorendahl asked Hutchings what time she could pick Eeva up at Nambour station, news.com.au reported. "Hi Michelle, Sorry grandma was on my phone and I didn’t get your msgs (sic) til (sic) after Eeva’s bedtime," Hutchings replied. "She is fine and happy, but I’ve been up all night vomiting and with the runs. I can’t do 9 hours public transport today. "You’re welcome to come pick Eeva up at Pottsville today or I will bring her to Nambour tomorrow or Saturday when I’m better. Happy to pick Eeva up a day or two later next visit to make up the time. "Not withholding so don’t make a big deal out of it, just let me know. Skype around ten am if you like and call whenever you want. Sorry again for the muck around, I think it was something I ate. Truly, Greg." The following day he sent her another text. "I’ve had another rough night but a bit better than the last one. Eeva has been up and is a bit cranky but not sick- I&apos;m letting her sleep in for a bit," he wrote. “Let me know if you want to come pick Eeva up today, otherwise we’ll be on the train to Nambour tomorrow." The inquest heard that Dorendahl Skyped Eeva that day - the last time she saw her daughter alive. On January 11, while driving to Pottsville to pick up Eeva, Hutchings text her to say they had gone for a trip to the river, and that she could find them next to the park. When Dorendahl arrived, Hutchings&apos; mother, who they had been staying with, told her they were not home. Police began inquiring and initially classified the case as a "custody dispute" rather than a "missing person", the inquest heard. Two days later, police and SES air, land and sea searches intensified around the holiday town and on January 28, 17 days later, their bodies were found. Experts theorise Hutchings, who had depression and previously expressed a desire to kill himself and his daughter, had overdosed. "With respect to [Eeva], I am satisfied on the balance of probabilities that [her father] caused her death, by some means, possibly by using the drugs he had taken with him to cause her to overdose," Ms O&apos;Sullivan found. A second tendered to the court from the mother is a "heartbreaking account" of the loss of her daughter. "She describes Eeva so beautifully, and told the court of a child who was pragmatic, quirky in her own adorable way and with a great sense of humour," Ms O&apos;Sullivan concludes. "It is a shocking tragedy that her life was taken." In coming to her conclusions, the court noted the father&apos;s history of self-harm, deteriorating mental health, anxiety while proceeding through the family court, and erratic and violent tendencies. The findings cite expert testimony that concluded the girl "was killed by her father prior to him taking his own life as a result of his desire to re-establish control over the family situation". 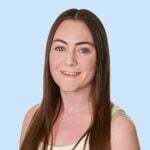 Ms O&apos;Sullivan made recommendations that when a parent fails to return a child subject to a parenting plan or court order, they be treated as a missing person by police.